A concert at the Vinjerock festival in Jotunheimen. From concerts on a remote island under the midnight sun to jazz in the dark and rock music in the mountains, these under-the-radar festivals give you an opportunity to explore parts of Norway you didn’t even know existed. On a small island on the coast of Helgeland, a very special festival has taken place every year since 2003. In that time, Trænafestivalen (the Træna Festival) has evolved from a local phenomenon to an internationally lauded festival. 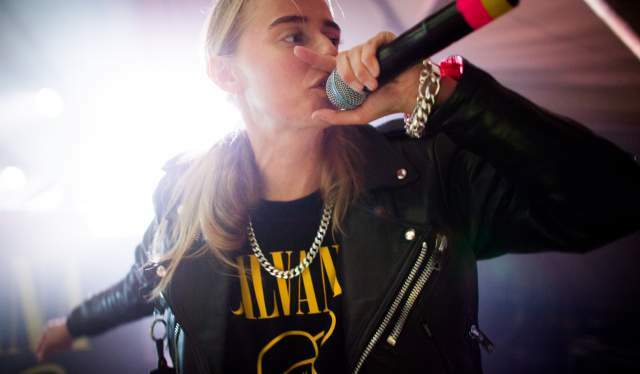 In 2015, The Guardian highlighted Træna as one of Europe’s ten best “secret” festivals, and major Norwegian and international acts annually dominate the line-up. For an island far away from the mainland with less than 500 inhabitants, this would seem pretty extraordinary. According to the festival’s PR contact Magni Sørløkk, however, it’s only natural. The northern festival is one where the journey to get there is as important as the destination. Sea air, midnight sun, great swimming opportunities, fresh fish, and majestic mountains all contribute to the festival’s unique atmosphere, Sørløkk says. Arranging a festival on an island far out to sea is not without its challenges. 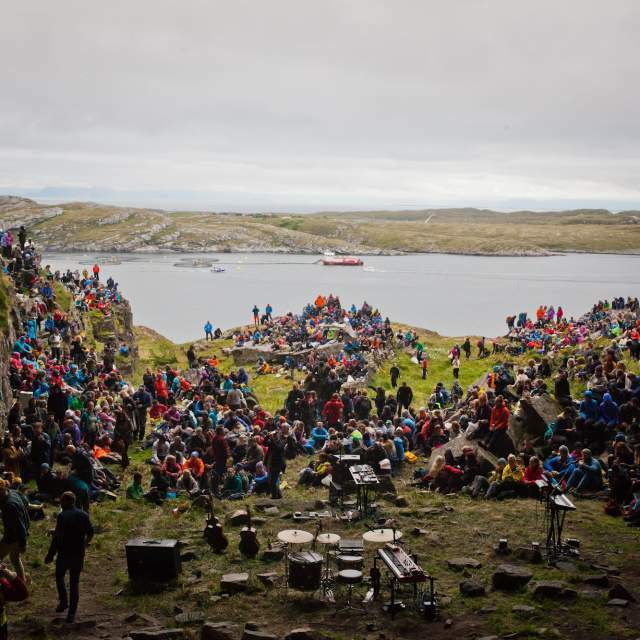 Among the 2,000 visitors who travel to Træna every summer, there are some artists that return year after year – Ingrid Olava, Manu Chao, and Erlend Øye have all danced the night away under the open sky at several editions of the festival. The latter features in Sørløkk’s fondest festival memory. “Several years ago, when Erlend Øye was an annual guest at Træna, I remember stumbling upon him at all places and times. I was walking with some friends one night, returning from a party, and suddenly we noticed a large group of people gathered on a hill by the church. 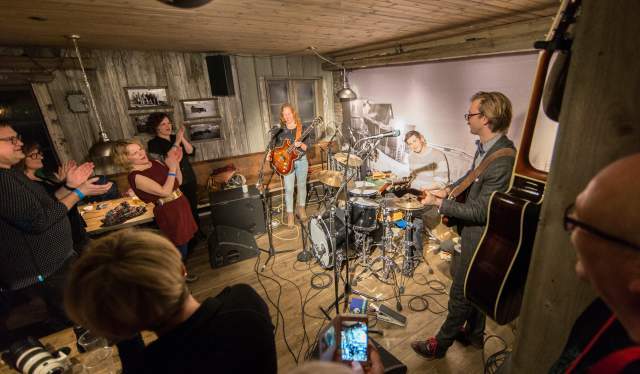 Træna may be situated far north in Arctic Norway, but the island appears almost tropical compared to the location of the world’s northernmost jazz festival. In fact, Polarjazz takes place in the world’s northernmost populated town – Longyearbyen at Svalbard – at latitude 78 degrees north, which is the closest most of us will ever get to the North Pole. The fact that it takes place early in February – in the last stage of the polar night – only adds to the magic, the festival’s PR manager Eva Therese Jenssen argues. A film festival in the mountains that show mountain films may immediately sound meta. But the phenomenon is global, and Fjellfilmfestivalen – gorgeously situated by the foot of the Besseggen ridge in Jotunheimen – stands its own against them all. “Riddu riđđu” is Northern Sami for “small storm by the coast”, and a musical storm gathers every year as native artists get together in the north to celebrate and express their culture. The Riddu riđđu festival is rooted in Sami culture, but its perspective includes and embraces all corners of the world. Technically, Førdefestivalen takes place in a relatively ordinary Norwegian small town. But the festival’s combination of international folk music and strikingly beautiful scenery has generated quite a lot of attention from abroad. Even though Svalbard is a part of the mighty polar bear’s habitat, a less dramatic challenge causes the festival crew headaches now and then: Flight connections. “During the polar night, only one flight arrives each day. If the weather is poor, a plane won’t be able to land, and then we risk that artists don’t make it to Polarjazz on time. There have been some close calls – one year the sound technicians were supposed to be here on Monday but were held back by a storm until Thursday”, Jenssen says, and adds that some of the artists get to feel the elements of nature up close. In the majestic mountains of Jotunheimen, a cultural rock has gradually been shaped over the last decade – Vinjerock. The festival is located at Eidsbugarden, the area where the great Norwegian poet and journalist Aasmund Olavsson Vinje put up the first cabin back in 1868. As Vinje was the one who gave this mountainous area the name Jotunheimen, it seems only fair that the neighbourhood festival is named after him. Head of Vinjerock Julie Forchhammer describes the festival as “perfect for the active festivalgoer”. Nature is essential to the appeal of Vinjerock. 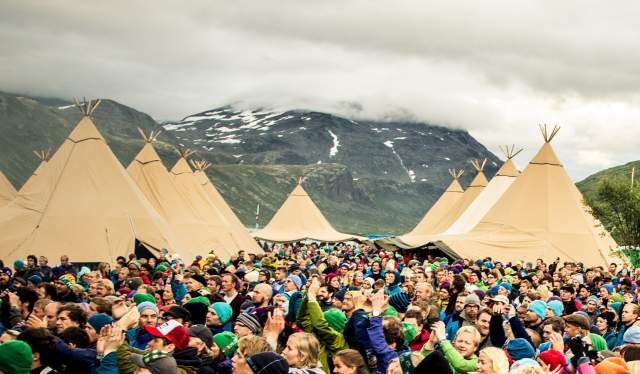 Framed by Jotunheimen, the festival is much more than just music. 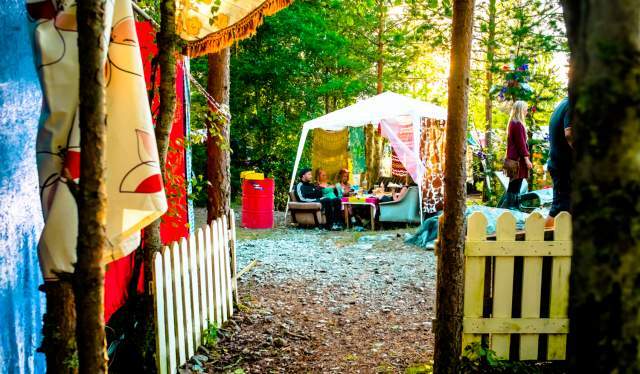 Vinjerock – the country’s largest festival above the tree line – focuses mainly on Norwegian artists, with room for exciting international voices in their line-up. But transporting 3,000 attendees up and down Jotunheimen in a weekend isn’t always an easy task. 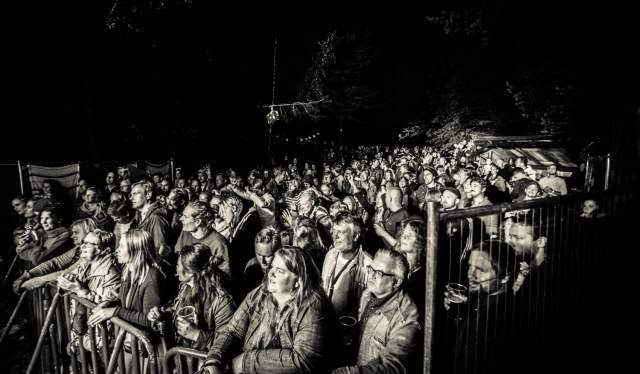 With a relatively low capacity in the festival area and a strong environmental focus, the festival constantly needs to stay creative to sort out the challenges that arise. Things never go fully according to plan anyway, Forchhammer says. A closed down gravel pit deep into the woods of Sør-Odal is the home of Audunbakken – as it has been since 2004. A year earlier, Audun Hansen found himself in his parents’ garden writing “Audunbakken” on a piece of cardboard. The festival has long since been professionalized but hasn’t lost its distinctiveness or charm, according to the festival founder and boss. In spite of limited resources, Audunbakken has attracted several major Scandinavian artists throughout the years – some of them before their breakthrough. But Audun says the goal is to keep the professionalism invisible to the naked eye. Unsurprisingly, Audun’s greatest festival memory is of the kind where it gets pitch black before the light breaks through. “One year there was heavy rain as the festival started. The power was out, and we got drenched when we tried to locate the source. At this point, one of the headliners – Slagsmålsklubben from Sweden – still hadn’t shown up. They were scheduled to play shortly after, but no one had heard from them. After calling all our contacts we finally got one of the band members’ phone number. I got a hold of him and asked if they were on their way. His response was “sure as hell we’ll be there!”. At that moment the rain stopped, the sun came out, and it became one of those experiences you never forget."